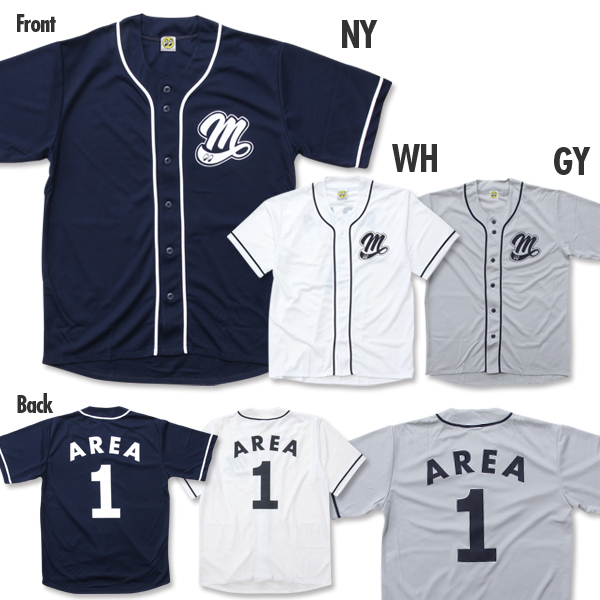 Color/Size: Please select Gray/M size(GYM). Gray/L size(GYL). Gray/XL size(GYXL). Navy/M size(NYM). Navy/L size(NYL). Navy/XL size(NYXL). Honmoku Yokohama MOONEYES Area-1, where, Yokohama Stadium is nearby. 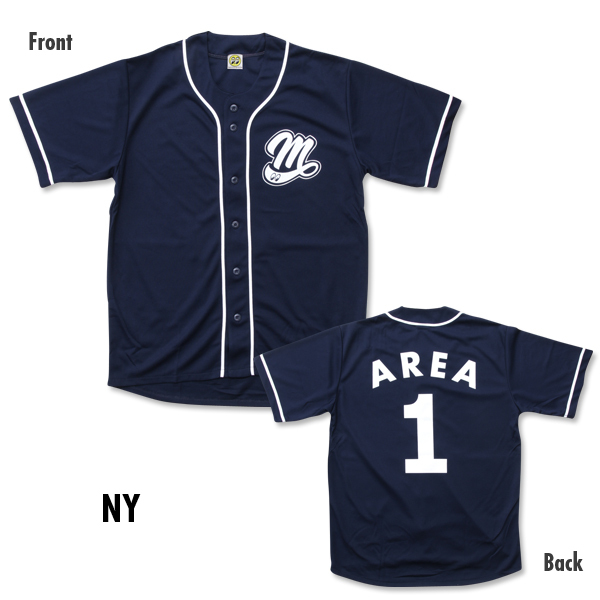 In MOONEYES there is BIG FAN of Baseball, we have now made the item for Baseball Fans!! 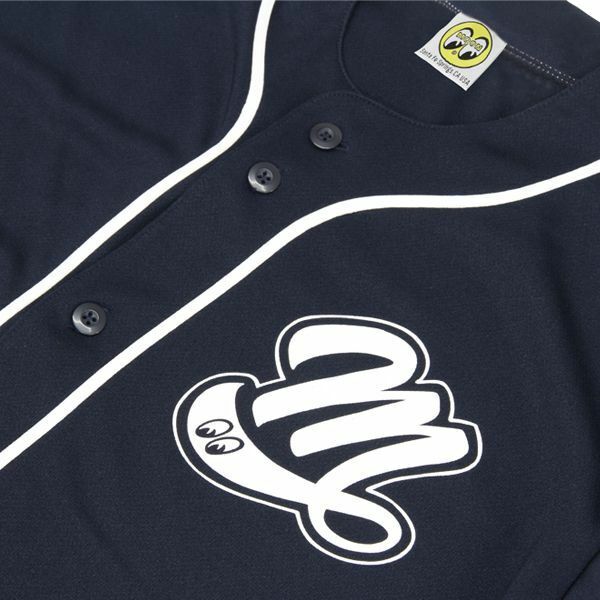 On the front there is Wildman design "M" printed like a baseball team style logo. 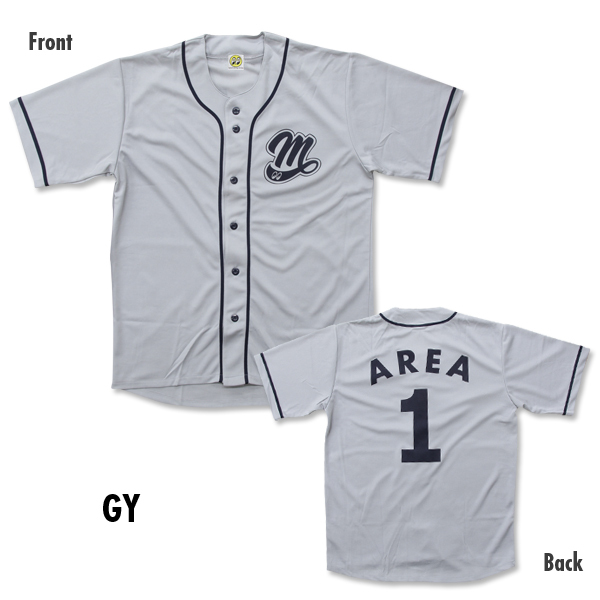 For the backstyle "Area 1" is largely printed like a baseball uniform. You can casually CHANGE the sports wear! You can close the buttons and wear it as it is, oversized. If it in cold weather you can wear long sleeve hoodie under it. To keep the quality of the prints, reverse the shirt before you wash it.